The Botanical Gardens and Arboretum is a fun place to visit for everyone in the family. It has a nice setting and just beautiful overall. Located in the heart of Dallas, the Dallas Arboretum and Botanical Gardens promises you a unique experience, surrounded by the great outdoors and abundant natural beauty 365 days a year. Guests can also enjoy making memories with friends and family at high tea offered throughout the year. Children and adults alike enjoy year-round education programs on gardening, art, hands-on science and offer plenty of outdoor exploration. The gardens, world-famous for their beauty, are chosen by many brides for their photos and their wedding. The Arboretum has something for everyone in every season. The Dallas Arboretum & Botanical Garden is open daily from 9AM to 5PM. Closed Thanksgiving, Christmas and New Year’s Day. The Sixth Floor Museum at Dealey Plaza chronicles the assassination and legacy of President John F. Kennedy, and interprets the Dealey Plaza National Historical Landmark District and the John F. Kennedy Memorial Plaza. This is an interactive museum that teaches you and the family art, science, and everything else you need to know. 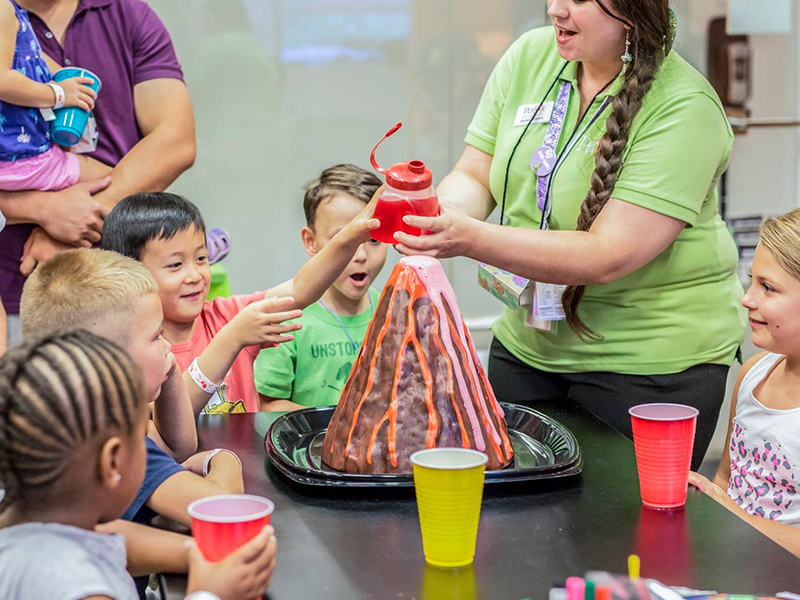 It’s a scientific wonderland in Downtown Dallas, Texas! This park is designed to make children and parents happy. Klyde Warren Park is common ground for everyone to enjoy in the heart of our city, bringing new traditions, shared experiences and FUN to Dallas! Live concerts to check out. What else could you want for your favorite people to come on stage and have a blast singing! American Airlines Center is home to the Dallas Mavericks and the Dallas Stars. Consistently ranked as one of the top five venues in the world in industry publications. A place for celebrations, exercise, and fishing. The White Rock Lake Conservancy partners with the City of Dallas and its Park and Recreation Department to support implementation of the park’s master plan through major fundraising initiatives. Currently funding the renovation and restoration of the Stone Tables, the first picnic area built at White Rock Lake Park in 1931. White Rock Lake is one of five “signature parks” in the Dallas. Signature parks are high profile components of the Dallas park system that give distinct identity to the city and the North Texas region. The Conservancy supports implementation of the Dallas’ White Rock Master Plan through major fundraising initiatives and development expertise to meet to meet significant park needs, in addition to collaboration with other organizations. A cool place for you to be absolutely stunned. It has a nice view of from the top of Dallas and you can eat there too. This place features tons of fun activities for the family including Miniature Golf, Go-Karts, Laser Tag, Batting Cages, Bumper Boats, and Mega Arcade! This Dallas Cattle Drive Sculptures is a unique display of public art located at Pioneer Plaza in Dallas. It costs nothing to see these sculptures–each completely different from one another. Looking for an instagrammable spot? Here you go…You’ll get a history lesson while you’re at it. Highland Park Village is a favorite among locals, as it has been for generations. Built in 1931 and widely regarded as the country’s first true shopping center, the Village is internationally recognized for its architectural significance and mix of the world’s best-known upscale retailers including Chanel, Christian Louboutin, Harry Winston and Hermès. It is a treasured part of the community and offers several annual events including the Holiday Tree Lighting and horse-drawn carriage rides each winter. In 2000, Highland Park Village was named a National Historic Landmark. Highland Park Village Gift Cards are available for purchase by calling 214.443.9898. Complimentary valet parking is available. The Bishop Arts District is home to over 50 local merchants, restaurants, boutiques, and services. Just 5 minutes from downtown Dallas, you’ll find friendly merchants, a small town square feel and a unique discovery. The Katy Trail was created over an old railroad line. It is funded through donations totaling nearly $1,000,000 annually. The Katy Trail connects to many local spots, such as Briggs Freeman Plaza where they just installed a new Free Little Library. Here’s a video we created where we start at the Katy Trail, maneuver our way to Briggs Freeman Plaza, and then end at Reverchon Park. Check it out! Built in 1892, the beautifully restored Old Red Courthouse contains some of Dallas County’s most fascinating historical artifacts. The Old Red Museum offers new historical discoveries in abundance – not only in our galleries, but also within the building itself. Original construction of the Old Red Courthouse took place in 1892, undergoing many transformations throughout the years, which ultimately led to the beautiful restoration of today. Authentic features and architectural elements have been uncovered to display a truly magnificent piece of Dallas County history. GROUP PRICING AVAILABLE. Ask The Old Red Museum for more information. The George W. Bush Presidential Center is home to the George W. Bush Presidential Library and Museum, which is operated by the National Archives and Records Administration, and the George W. Bush Institute. The Bush Institute, founded by President and Mrs. Bush in 2009, is a public policy center with the mission of advancing freedom by expanding opportunities for individuals at home and abroad. The work of the Bush Institute is inspired by the principles that guided the Bushes in public life. The Bush Center complex is located on the campus of Southern Methodist University in Dallas, Texas, and also includes a 15-acre park, a full-service restaurant, Café 43, and a museum store. This aquarium holds over 150+ aquatic wildlife. The Children’s Aquarium has been designed with kids in mind. With eye-level, interactive zones and exhibits, everyone can enjoy and learn something new about our aquatic friends from around the world. This is sure to be a fun place to visit and take the kids. Or yourself. Yes, you deserve it. Fair Park is a 277-acre historic site with cultural & sports events, Art Deco buildings, public art and you. Fair Park is easily accessible from the DART Green Line. HOURS: Unless there is a ticketed park-wide event underway (like the State Fair or North Texas Irish Festival), Fair Park’s gates are open from 6 a.m. until 11 p.m.
FAIR PARK ADMINISTRATION: Fair Park is a City of Dallas-owned entertainment, cultural, sports, and exhibition destination. Currently, the City’s Park and Recreation Department oversees the day-to-day operation and maintenance of Fair Park. Soon, the day-to-day management will be handed over to a private company. Regardless, Friends of Fair Park will still be here. Epic battles of Steel and Steed – a two hour tournament and dinner with feasting, fighting, horses, knights, and more! Great place to take the family or a date. Use your hands to eat your hearty medieval meal! Those who were in the Dallas, Texas area when it happened can still tell you what they were doing the moment President John F. Kennedy was assassinated. The John Fitzgerald Kennedy Memorial is a monument to U.S. President John Fitzgerald Kennedy in the West End Historic District of downtown Dallas, Texas (USA) erected in 1970, and designed by noted architect Philip Johnson. Heather says: “You know when you listen to certain songs and get goosebumps? Well, this place “did that” to me. The only other place that’s ever done that, was the 9/11 memorial in NYC. For me, it was such an emotional experience to just be onsite. The fatal shots were fired just 200 yards of this site. After reading the reviews, I wasn’t expecting much, but I think it’s a very respectful memorial to JFK. The designer, Philip Johnson knew him personally, so I think it’s to be said that he kept it as JFK would want it and Mrs. Kennedy approved. Honestly, I was a bit confused when I first approached. After all, it’s four, thirty feet roofless walls. Aesthetically simple, yet meaningful. Representing an open tomb, symbolizing the freedom of JFK’s spirit. The longer I stood there (with goosebumps) the more I appreciated it. This is a huge garden in the middle of Dallas. So cool! As one of Dallas’ first commercial districts for African-Americans and European immigrants, Deep Ellum is one of the most historically significant neighborhoods in the city. The district boasts the city’s largest collection of commercial storefronts from the early 20th century and includes many individual structures significant in their own right. The Dallas Zoo houses over 400+ animals! Children love learning about wildlife and conservation efforts. MUST WATCH – GORILLA BABY’S DEBUT! Megan and her week-old baby made their way out into the habitat this morning for the most adorable debut. Half-sister Saambili made an appearance too. You may be able to catch a glimpse of the baby when you come visit us, but it’s all up to the weather and Megan’s comfort level – we take all of our cues from Mom! 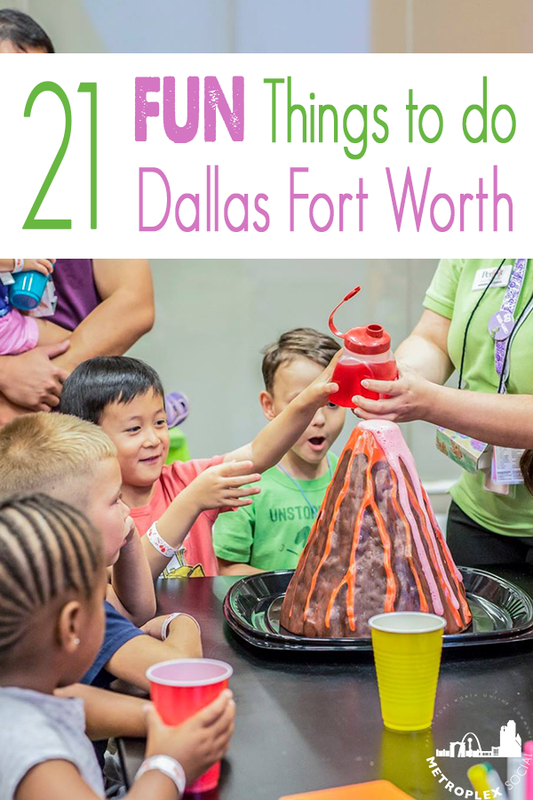 So did you like the 21 BEST Things to Do in Dallas? What other local Dallas Fort Worth metroplex spots should we include?